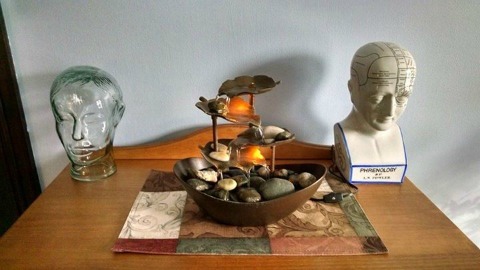 Welcome to the Soothing Sessions Bodywork website! It is my hope that you will find the information you are seeking here. Looking for more? Read the latest BodySense magazine here! You can Tweet with Kimberly at www.twitter.com/bodyworksession or check out her pins on Pinterest www.pinterest.com/ssbodywork. As of January 1st, 2019 prices have increased on services for SSB. 1336 Michigan Street, Waupaca, WI. The Home Studio in Weyauwega is CLOSED for remodeling. Online Gift Certificates make the perfect gift! Give the gift of health, relaxation and pain-free living today. Uh-OH! Forgot a gift for someone? 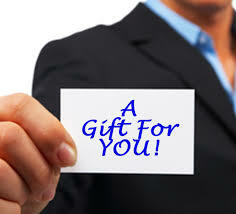 Gift Certificates make a great gift! Give the gift of relaxation and health this year. Get your last-minute Gift Certificates online or call and pick them up at the Soothing Sessions Bodywork! In-house & Instant Gift Certificates now available! 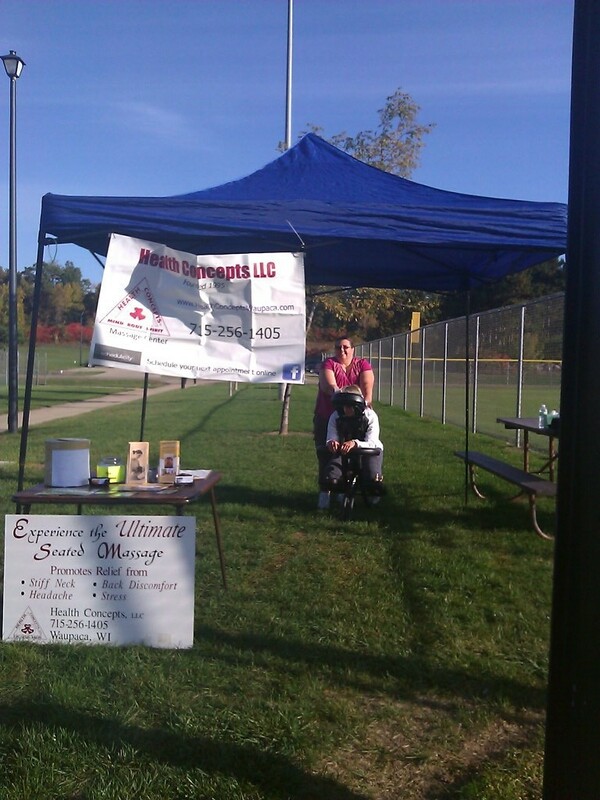 Here is Kimberly at "Walk For Wellness" in Waupaca -- FREE Chair Massages were given to all participants! "Hi! 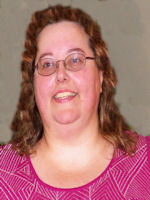 My name is Kimberly Rogers, I am a State of Wisconsin Licensed Massage Therapist and Bodyworker. I have training in several modalities designed to help rid you of pain and stress. I love helping my clients feel and look their best!" "I see clients in the Waupaca, Weyauwega-Fremont, Manawa, New London, Wild Rose, Iola-Scandinavia (and more) areas." #10. Massage & Reflexology may be one of the oldest forms of medical care. Egyptian tomb paintings show people receiving touch therapy. #9. There are approximately 5 million touch receptors in our skin. 3,000 in just ONE fingertip! #8. Massage Therapy is the number one treatment requested in spas. #7. Massage & Bodywork lovers don't lie...they move from table to table! #6. Massage & Bodywork therapies RELAX muscle tension; IMPROVE circulation of blood and lymphatic fluids; and AID the body to heal itself NATURALLY...and the benefits go on and on! #5. Massage is not a luxury, it is necessary to sustain wellbeing: physically, mentally and spiritually. #4. 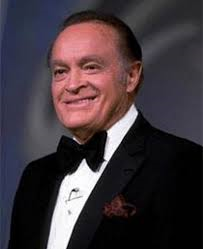 Bob Hope lived to 100 years, reportedly receiving a massage every day to help him relax, unwind and sleep. Do you see a connection? #3. Science does support and report the health benefits of touch, helping to reduce symptoms of anxiety, depression, pain and stress...to name a few. #2. Hippocrates, the ancient Greek physician, often called "the father of medicine," included massage as part of a patient's recovery from illness. #1. A one-hour Massage or Bodywork session relaxes you and makes you feel like you've received an amazing nap!